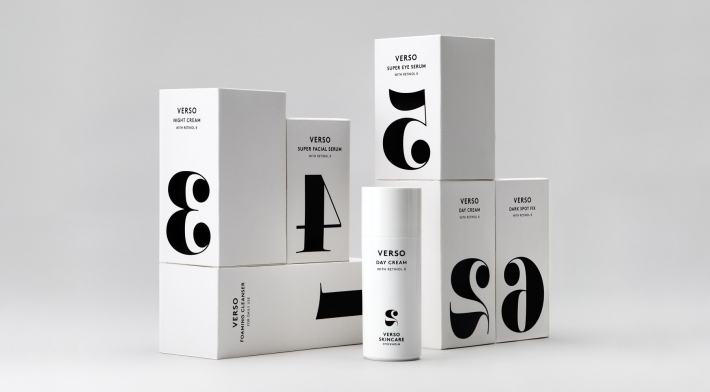 No we are not talking about the fashion store in Antwerp but about the Swedish skincare. 2015 was a special year for me I turned 30 and had many exiting projects such as Jackie Jane, our own collection and so much more. But this asked a lot of my body and apparently my skin. During Jackie Jane I looked very tired, had dark cirkels under my eyes and suddenly I had pimpels everywhere which I almost never had. When Jackie Jane was over I decided it was time to invest more in my well being. All Top models are saying it sleep is very important and yes it is! A little more sleep does miracles. But although I don’t like to admit it, at 30 skincare gets more important. I was using a standard moistorizer and no eyecream before. Time for change! I went to Fin du jour in Ghent. 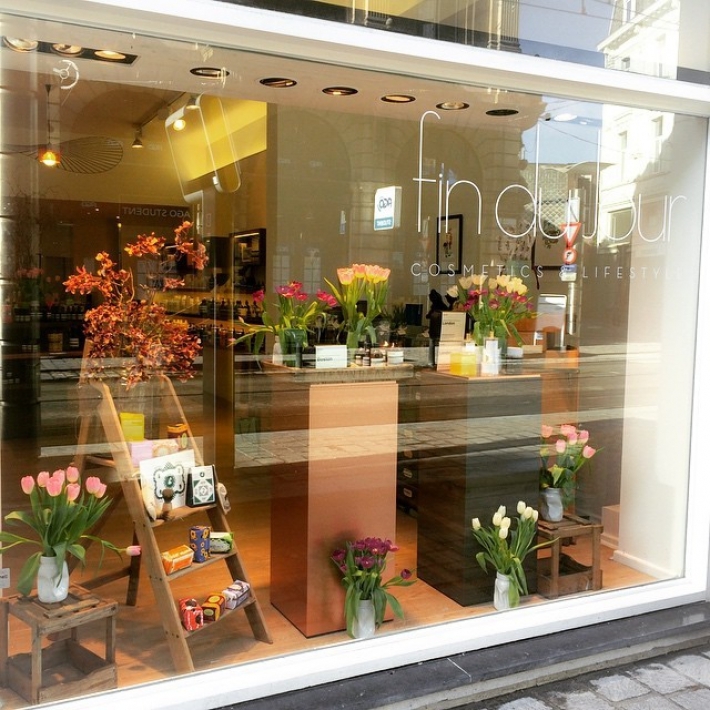 Fin du jour is a cosmetic and lifestyle boutique here you can find a unique selection of skincare, make –up , perfumes and scented candles, all made with passion and knowledge often using traditional methods. Why did I choose Fin Du jour? -They have a unique offer. -Everything they sell is not only of good quality, it looks nice. So you don’t have to store it, just leave it for everyone to see. - The owner Miriam is such a sweet person, she’s no hardseller and makes you feel comfortable right away. (I love that) But her product knowledge is the most comforting, you emmediately feel she knows what she’s talking about. 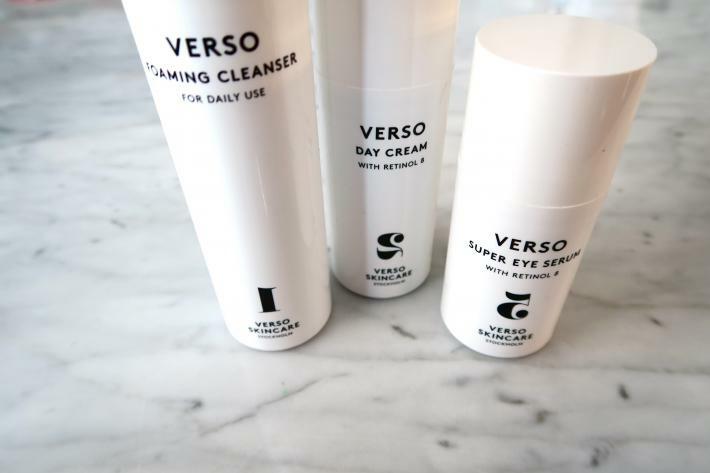 She suggested me Verso Skincare, the first non prescription high dose vitamin A product that can be used safely in the daytime. Verso is effective and the efficacy is proven by clinical trials, its rare because of its patented technologies. They have 7 steps. I didn’t buy them all because I wanted to await the efficacy. It removes impurities, leaving the skin clean and clear. I had some exfoliating cloths with it, they give a scrub effect which gives you a softer and glowing skin. Moisturizing and protective day cream with retinol 8 complex. Helps to activate the skin and to stimulate its natural production of collagen. The cream also contains sun filters which help to protect te skin. * I like: that the cream is very spreadable you only have to use a bit to cover your face and neck. Firming and smoothing eye cream. It diminish the look of eye puffiness, dark circles and lines. Penetrating and nourishing facial oil is light and absorbs quickly and can be used with the other products. It reduces conditions caused by everyday life and UV exposure, as well as prevent the skin from drying out. The products did what they promised. Puffines around the eyes are gone, I see a decrease in fine lines and feel that my skin is more nourished. 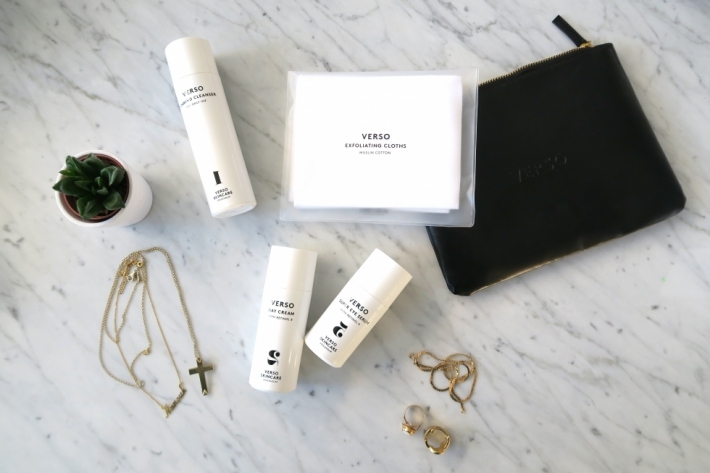 You can get Verso Skincare at Fin Du Jour, Vlaanderenstraat 80 9000 Ghent.